Interest in native plants is growing, as gardeners seek new ways to make their gardens more water-wise and life-friendly. 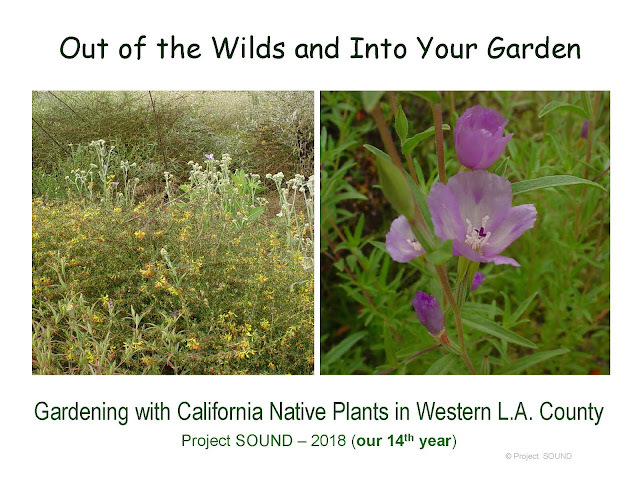 Native plants connect us to the land and its people. And our knowledge of regional plants owes a huge debt to the native plants-persons – the early botanists, naturalists, plant collectors and nursery-persons – who first documented and described these plants. California is blessed with an abundance of interesting people connected to native plants. From the 1800’s to the present, these native plants-persons have shaped our knowledge, use and conservation of regional plants. We’ve featured some of the more interesting in our ‘Out of the Wilds and Into Your Garden’ lecture series over the years. Many are little known, even to persons who work with native plants. We learned many interesting stories in preparing these talks (they will probably be new to you as well). And while the lives of some plants-persons are well documented, others required a bit of historical sleuthing and conjecture. But all can serve as an inspiration and challenge to gardeners, landscape designers and life scientists. What an amazing, curious and hardy group – may we live our lives half as fully as they! Gosh, you guys always do such a good job of everything. I had not heard of Beatrice Howitt - the 148 slide presentation was packed with info! Thank you.